On November 11th, 2018, Europe will celebrate the centenary of World War I Armistice Day, one of the landmark events representing reconciliation between France and Germany - the heart of the European project. However, while 2017 was a decisive year for the European Union, notably marked by a number of elections in France, Germany, Austria and the Netherlands, 2018 will be a strategic year, with a number of issues to be addressed. Once we rung in the New Year, only 453 days were left until the United Kingdom permanently leaves the European Union on March 29, 2019. This deadline may solely be extended by a unanimous decision of the European Council. However, the UK put forward a proposal for a transition period of around two years on December 15th, 2017. Once Theresa May initiated the withdrawal process under Article 50 of the Treaty, notifying the UK's intention to leave the EU, two phases of negotiations were bound to open. The agreement on the first phase, defining the divorce terms, was approved on December 15, 2017, after achieving progress on three priority issues - the Irish border, financial regulation and the rights of expatriate citizens. As a result, the second phase, tackling the transition and the framework for future relations between the EU and the UK, will be a central issue in 2018. On November 13th, at the European Foreign Affairs Council, 23 EU Member States signed on to a program of joint military investment in equipment, research and development. 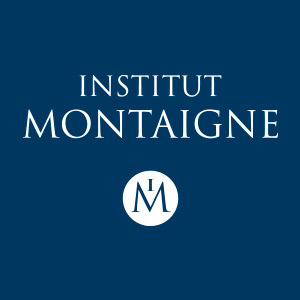 This “historic moment” according to Federica Mogherini, European foreign policy chief, represents a much awaited step towards more defense cooperation at the EU level, which Institut Montaigne advocates in its March 2017 report The Europe We Need. While the agreement fails to guarantee a defense participation amounting to 2% of GDP, Member States decided to increase regularly their defense budgets, as recommended in the report. EU leaders welcomed the launch of this permanent structured cooperation (PESCO) on defense during the December 14th and 15th European Council. Further steps towards this cooperation, such as the adoption of the European defense industrial development program in order to finance the first capability projects in 2019, will be taken in 2018. The new president of the Eurogroup, Mario Centeno, will take office on January 13th, 2018. At the Euro Summit that was held in an inclusive format of 27 Member States on December 15th, France and Germany announced their desire to reach a common position on the reforms of the Eurozone, a top priority for President Macron, by March 2018. The transformation of the European Stability Mechanism into a European Monetary Fund supervised by the European Parliament. The phased implementation of a Eurozone budget. The gradual establishment of an economic government and a permanent president for the Eurogroup, explicitly responsible to the European Parliament. Migration has been a contentious matter among European Member States, especially since the 2015 crisis, when over 1 million migrants arrived in Europe, mostly in Germany. This issue has been at the centre of various political events in Europe, such as the Brexit vote and recent failed German coalition talks, and caused tensions between Central and Eastern European and other countries, as the Visegrad Group opposed quotas imposed by the European Commission. However, EU members decided during the December 14th and 15th European Council, to reach an agreement on a common migration policy by June 2018. According to European Commissioner for Migration, Home Affairs and Citizenship, Dimitris Avramopoulos, the EU needs to adopt a more comprehensive and long-term policy on migration. Indeed, the recent unveiling of slavery practices in Libya as well as the disputed issue of compulsory quotas urges European Member States to review their migration policy, both in its internal and external dimensions. To feed this reflection, Institut Montaigne formulates proposals to notably address migration issues as part of relations with countries of origin. These issues will characterize 2018 at the European level while also impacting Member States’ national policies. In France, after carrying out a resolutely European campaign, Emmanuel Macron intends to spread the political reshuffle initiated with his election in May 2017 to a European scale. He also expressed his intention to add a "European constituency" to the 27 national polls, with a transnational list campaigning to replace the 73 UK members of the European Parliament that will leave in the context of Brexit. This will represent a useful opportunity to perceive European voters’ political will. Will Emmanuel Macron Succeed in Reforming the Eurozone?